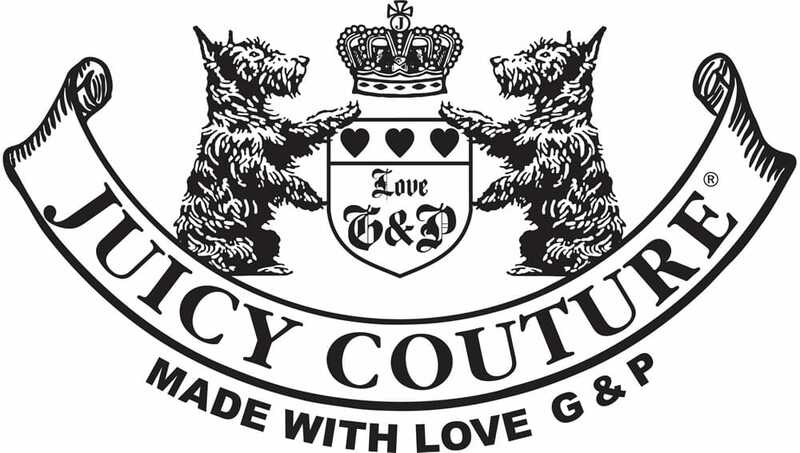 JUICY COUTURE is one of the most favorite American brands that was created in 1994 by two friends – Pamela Skaist-Levy and Gela Nash–Taylor, who didn’t have too much bankroll, but thanks their strong desire, a JUICY COUTURE has gained success. Originally the line was focused on manufacturing clothes for women, but a girlish collection appeared very soon. Today the brand is considered to be one of the most popular not only in America, but also on Europe and Asia. The main feature of JUICY COUTURE is making unique designs and using bright colors. Pamela and Gela are sure that vivid colors, extraordinary prints and stylish elements are the most important things in expressing oneself. Floral cardigans, T-shirts with pleats, ruffle skirts, leopard pajamas and funny playsuits are made from high quality fabrics, such as 100% cotton, velour, silk, denim, leather, wool and others. But the most used pattern is for sure a leopard one, which prevails in many items. There is a special collection of remarkable accessories for young ladies. Lovely pedants of different shape take the main place. Nowadays it is very convenient that all products of the JUICY COUTURE brand can be chosen and purchased online.